Following the recent confirmation of the expansion to Heathrow Airport, and subsequently Zac Goldsmith’s resignation, it is unsurprising that rising property taxes were the topic of conversation as Nick Clegg and Liberal Democrat candidate Sarah Olney recently met with Richmond High Street business owners. Whilst businesses in Richmond upon Thames face a staggering £70m increase in business rates over the next 5 years, Heathrow Airport, the issue at the centre of the current by-election, in comparison received a tax cut ahead of the expansion announcement, say CVS business rates specialists. The reduction in Rateable Value at Heathrow Airport is almost the equivalent of the entire increase in property value for all 5,802 Richmond Upon Thames businesses. It is just a matter of weeks since the Government adjusted the Rateable Values of every business property in England and Wales to reflect changes in the property market. The new Rateable Value will be used to determine the basis of the tax calculation for rates next April and for the next 5 years. Those whose properties have performed better than their peers – by dint of the quality of their property, location or business sector – since the previous revaluation can expect to see their bills rise. Equally, those whose properties have underperformed can expect to see their bills fall. Whilst Heathrow Airport remains the largest ratepayer in England and Wales, the Government reduced its property assessment by £32.5m- from £247.5m to £215m- meaning that next year it will pay £3.92m less in property tax. However, because of the Government-proposed transitional rate relief scheme, any reductions in Rateable Value are capped and phased in gradually over the Rating List. This means that on average over the next 5 years, CVS surveyors suggests that Heathrow Airport will pay £118.02m per year in business rates bills, which is down from £127.96m in the previous List; a 5 year saving of £49.7m. There has been a further £6.49m reduction in property tax assessments at two cargo centres at Heathrow Airport too. 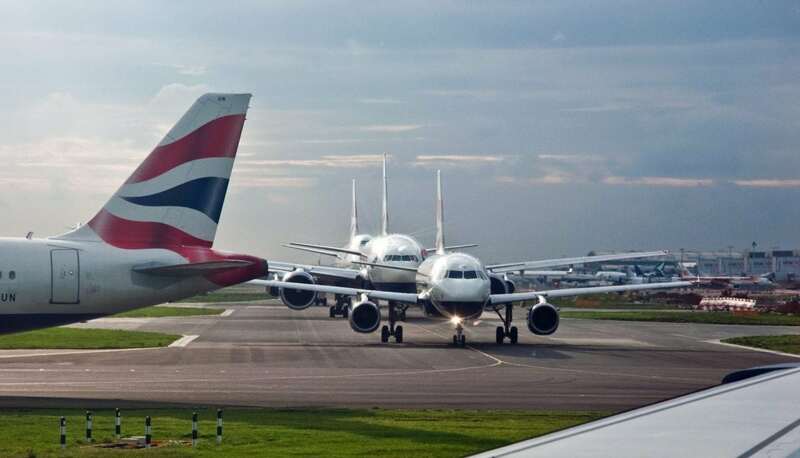 But Gatwick Airport, Heathrow’s rival for expansion, saw its Rateable Value rise from £56.6m to £60.4m, making it the second largest ratepayer in the country. Yet CVS business rates specialists suggest new Rateable Values recently published show that across Richmond Upon Thames, total property assessments have increased by a staggering £29.05m. Their analysis shows 5,802 Richmond Upon Thames businesses had a combined Rateable Value of £200,780,068 based on the last property assessment in 2010, which has formed the basis of rates bills for the last 7 years, but this has just increased to £229,827,201. CVS projects that on average over the next 5 years, taking into consideration the proposed transitional rate relief scheme and inflation, business rates bills across Richmond Upon Thames next year will be £14.1m per year higher than this year, resulting in a massive £70.5m tax hike across Richmond Upon Thames over the next 5 years. Mark Rigby, CEO of CVS says: “The purpose of a business rates revaluation is to try and achieve fairness by ensuring that tax liabilities are based upon up-to-date values. “Revaluations create winners and losers as tax liabilities are shifted in line with relative movements in property values since the previous revaluation. Businesses facing increased rates bills are advised to seek professional advice as to whether they are paying the correct amount. The Government’s changes to the business rates appeals process means that there is now a three-stage process known as ‘Check. Challenge. Appeal.’ (CCA) for the property’s new assessment. The CCA process is intended to manage the flow of cases through the system in a structured and transparent way, and each step must be fully completed in sequence to submit an Appeal. Nearly three quarter of a million businesses in England and Wales challenged their last assessment with almost 1 in 3 receiving a rebate. Mark Rigby added: “The by-election campaign will revolve around Heathrow Airport and its expansion. However, local businesses are now faced with massive tax increases next year with only 6 months to prepare for them. “It’s a bitter sweet pill to swallow for businesses in Richmond Upon Thames knowing that their property values have increased and will effectively subsidise Heathrow’s tax savings.